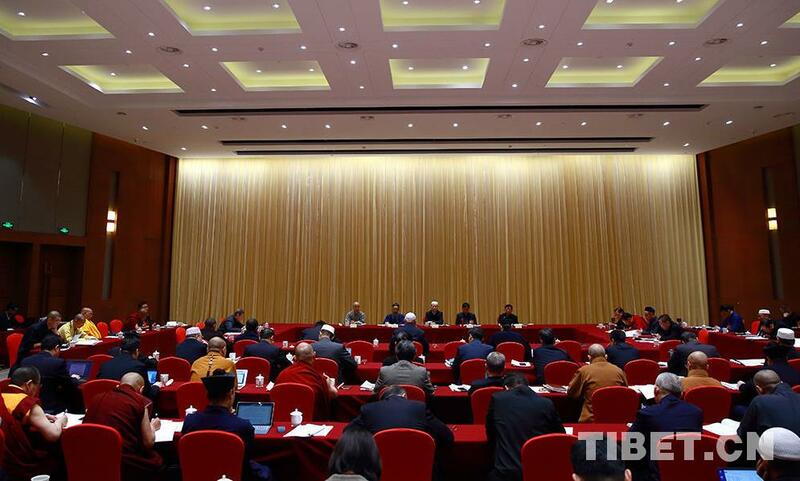 On March 7, panel discussions were held for the 2nd session of the 13th CPPCC National Committee. 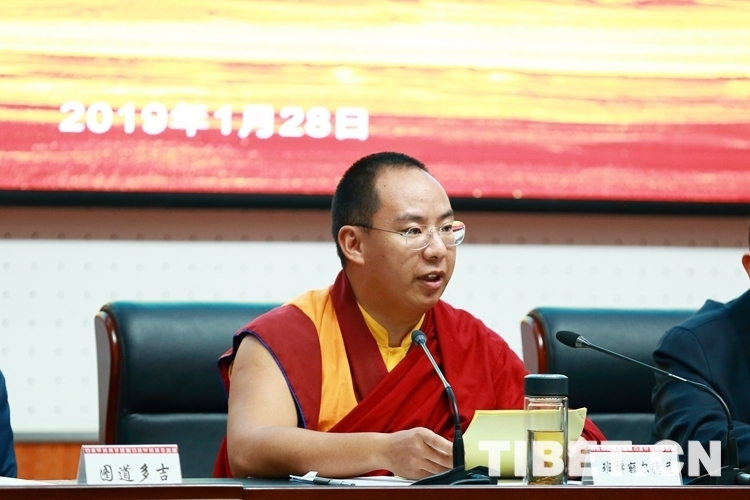 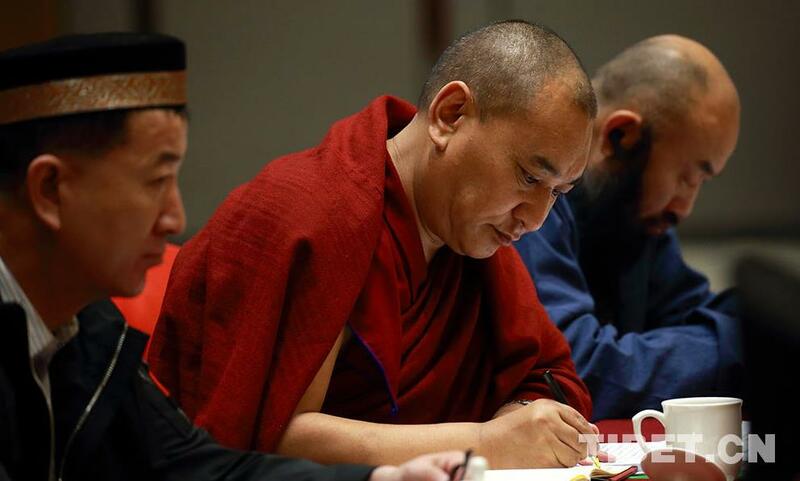 The 11th Panchen Lama Erdeni Choskyi Gyalpo, a member of the CPPCC National Committee, joined a panel discussion with other political advisors from the religious sector. 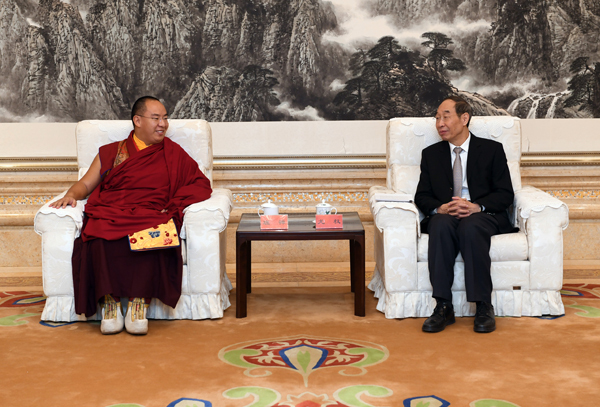 Photo shows Dupkang Tupden Kedup, vice chairman of the Buddhist Association of China. 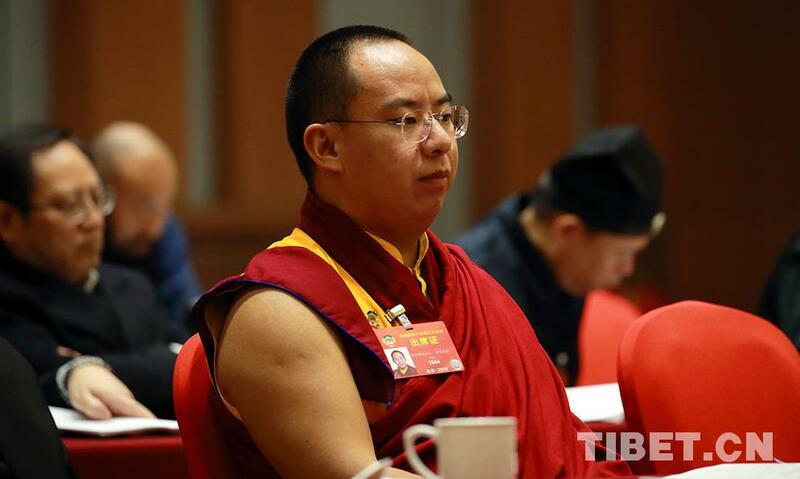 Photo shows Tsemonling Tenzin Trinley, vice chairman of the Tibet Autonomous Region Committee of the People’s Political Consultative Conference and vice chairman of the Buddhist Association of China. 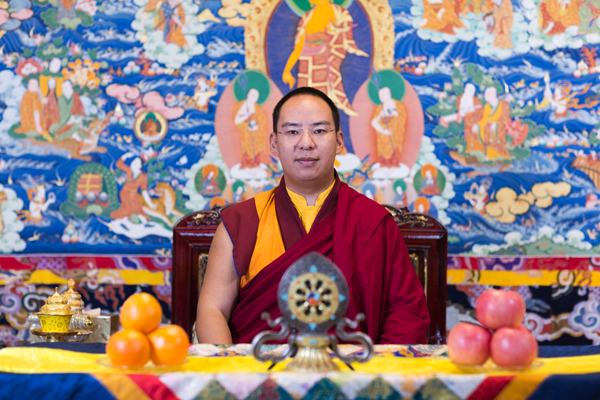 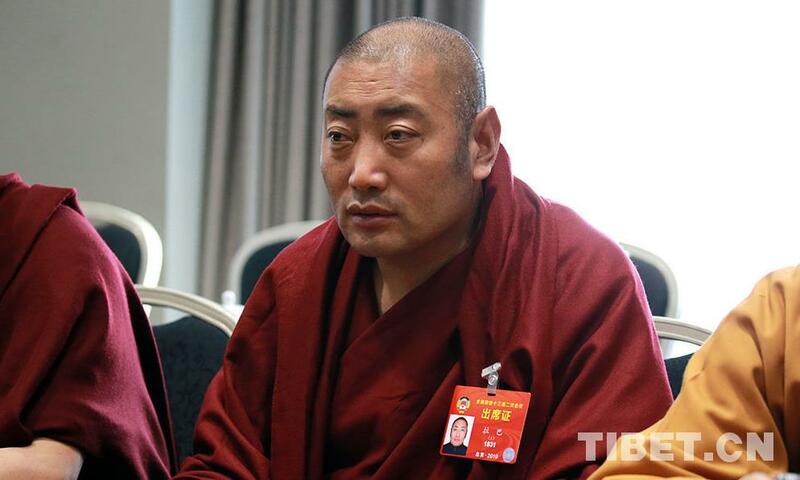 Photo shows Drigung Quncang Lobsang Champa Rinpoche, vice chairman of the Tibet branch of the Buddhist Association of China. 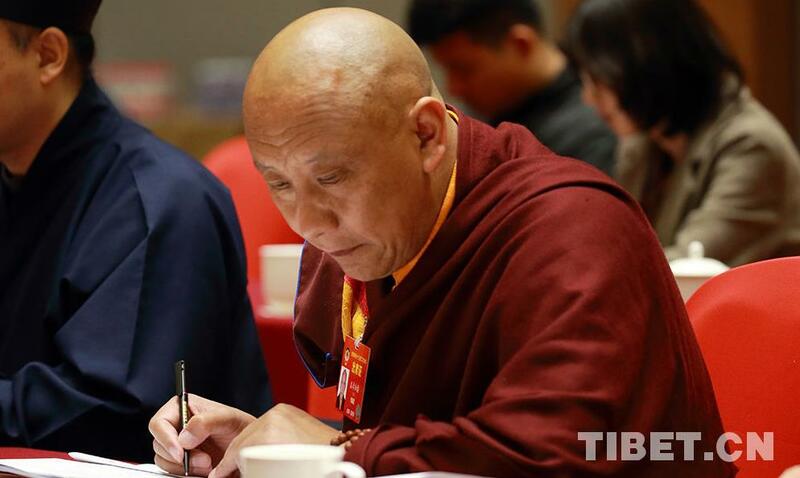 Photo shows Lhapa, vice chairman of the Tibet branch of the Buddhist Association of China. 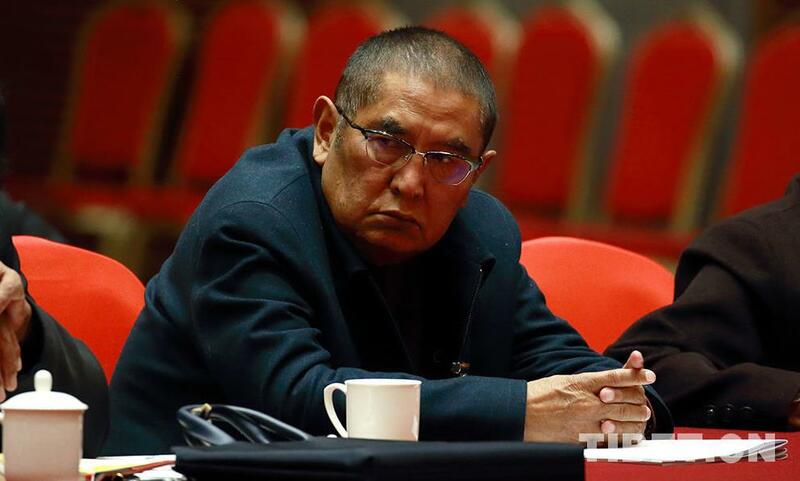 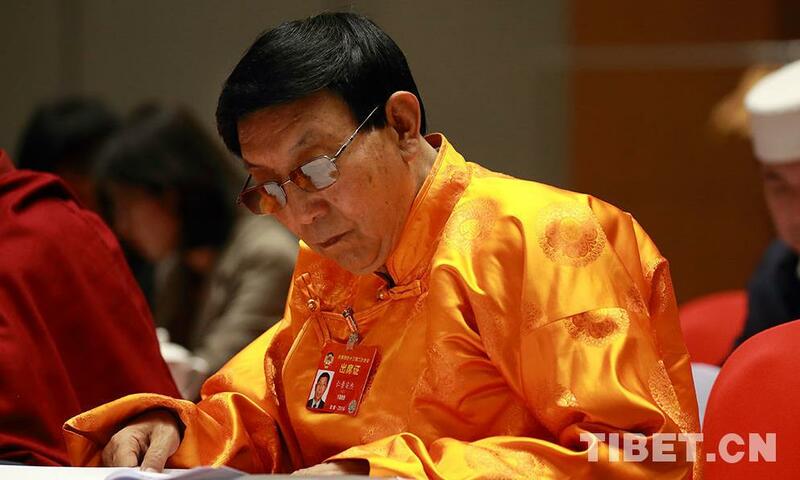 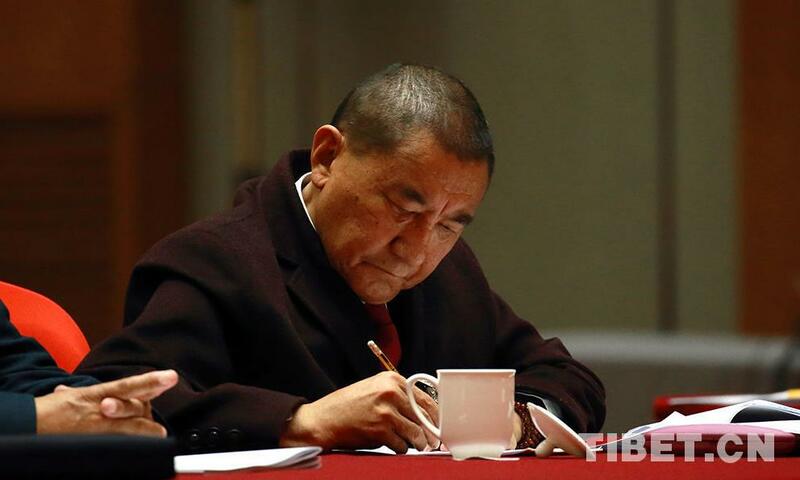 Photo shows Gomangtsang Lobsang Tsondre Gyatso, member of the 13th CPPCC National Committee. 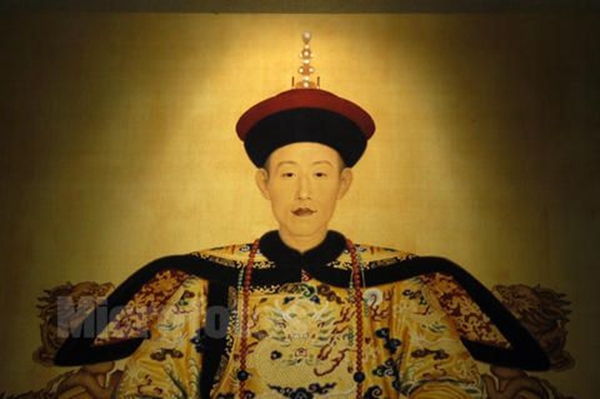 Photo shows Hu Xuefeng, abbot of the Yonghegong Lamasery. 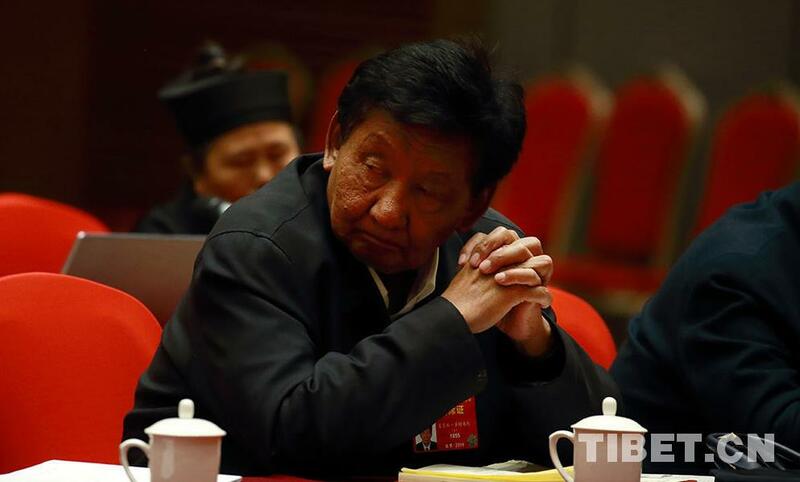 Photo shows Rinchen Amjie, vice chairman of the Qinghai provincial committee of the People’s Political Consultative Conference. 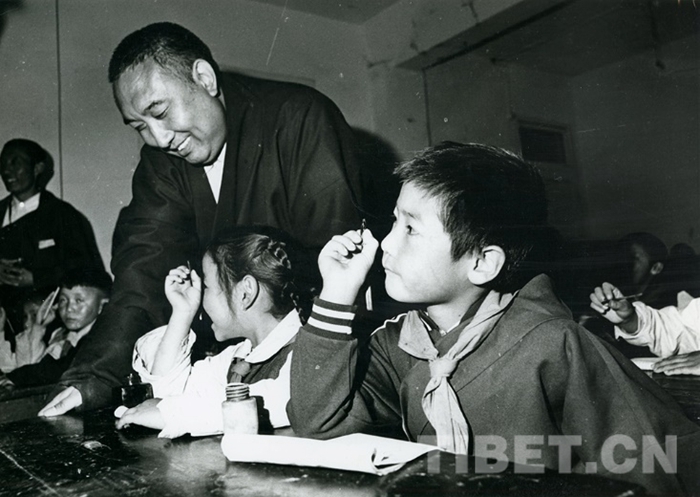 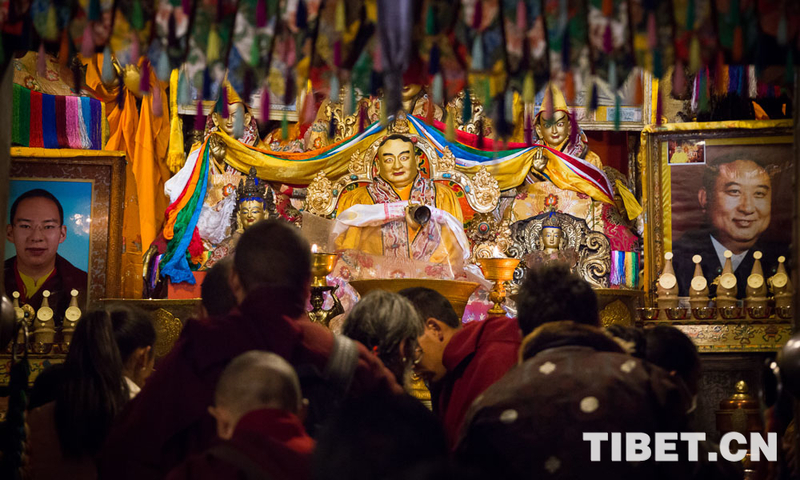 Photo shows living Buddha Tombo Drongpa. 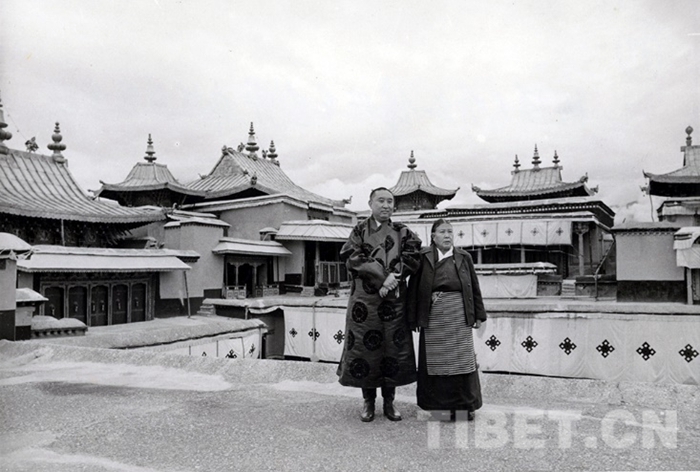 Photo shows Lodro Gyatso rinpoche from Sakya Monastery.